WinClean is a registry cleaner, disk cleanup and startup manager in one easy to use application. 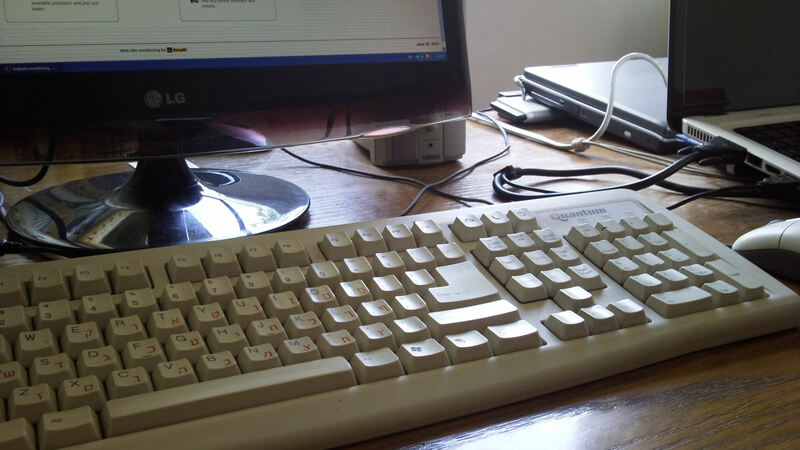 Every day you use your computer under a Windows operating system, windows accumulate junk like temporary files, broken registry key, unneeded applications that install themselves to the registry's auto start and slows up the computer. As time passes this can cause even the fastest computers to be overcome by the burden. That is where WinClean comes into the picture. WinClean is a smart power application that gives windows a power boost. WinClean gives its users the power and ease to control windows. WinClean Provides file cleanup, Registry scan, Auto start control and Shortcut check. It is recommended to regularly use it to keep your Windows clean and tidy. 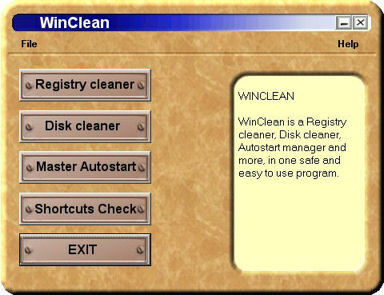 To meet the needs of ordinary windows users, Winclean provides detailed information in various dialog boxes to give its users a full confidence and understanding of its functionality. To be on the safe side WinClean is equipped with a special safety net that enables to revert changes made to the computer's OS. The safety net features include: Master auto start revert: any feature that was disabled from the auto start can be re-enabled. Registry Integrity: any deleted key by winclean can be restored. The disk cleanup help you gain more disk space by deleting unnecessary files. Show you the application that run automatically at startup and allow you to disable the one you don't need.